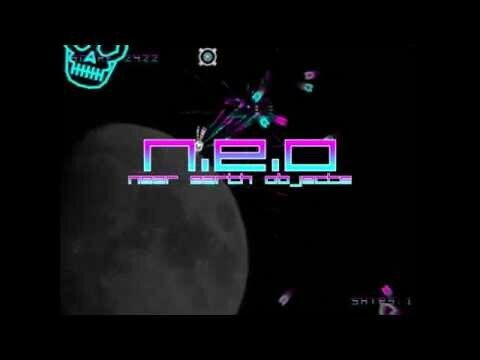 NEOs, or 'near earth objects' are an emergent threat to all life on this planet. Blast off into space and destroy them all to preserve life as we know it back on Earth! 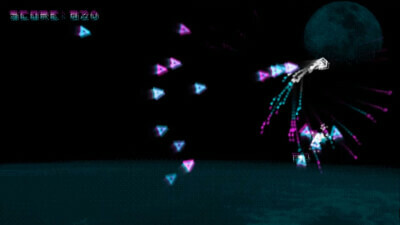 Neo-retro arcade style shooting designed to challenge and enthrall. Shoot rocks, get POW. Survive. Featuring a '90 Euro/rave-inspired soundtrack, over 120 waves of sadistic space shootables and graphics in tribute (albeit loosely) to old CGA games, this is going to knock your socks off - hope you bought a spare pair. Near Earth Objects is simple to pick up and play, only asking that you shuffle yourself around with the D-pad to best keep your ship intact. With a clever variety of enemies that constantly change how you play the game and the audio/visual presentation, it becomes something you can easily sink hours into, floating along in a colour and music-fueled haze.